The West Alabama Regional Commission has produced a cd that highlights the Fayette Art Museum. 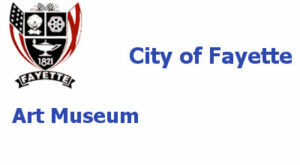 The Fayette Art Museum was founded in 1969 by the Fayette City Council and Jack Black, who was the Museum's Director for 35 years. It began with a gift from Lois Wilson, a Fayette native, of her art collection, which ultimately totaled 2,600 pieces of her own and of other artists’ work. Wilson died poor and obscure in Yonkers, NY, in 1980 at the age of 75. Black, who died in 2004 at age of 79, shepherded the Fayette Art Museum from its fragile birth to its solid presence as an icon of Southern pride in its arts. 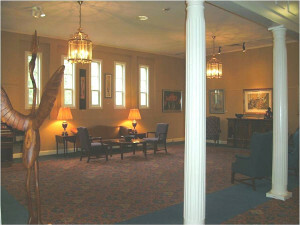 Initially housed in Fayette City Hall, the museum is now located in Fayette Civic Center, originally the Fayette Grammar School, built in the 1930’s and restored in 1982. There are now over 4000 pieces in the permanent collection with over 500 running feet of display space on the main floor of the Civic Center and 6 folk art galleries downstairs, as well as a gallery used for the Director/Curator's office. Artists include internationally known Fayette native Jimmy Lee Sudduth; Rev. Benjamin F. Perkins; Fred Webster of Berry; Sybil Gibson of Jasper; Jessi LaVon of central Alabama; Wanda Teel of north Alabama; Moses T and Doug Odom of south Alabama; Margarette Scruggs of Walker county, and Lois Wilson. Other folk and mainstream 20th-century American artists are also represented. The Fayette Art Museum put Fayette (pop. 5,000) on the tourist map when in 1999 National Geographic flagged the museum as a regional attraction. Fayette Art Museum is open Monday through Friday, 9 am – 12 pm and 1 – 4 pm and by appointment for group tours at other times. All events at the Fayette Art Museum are Free and open to the public. The Museum is located at 530 Temple Ave. North, Fayette, Alabama. For more information or questions contact Anne Perry-Uhlman, FAM Director/Curator at (205) 932-8727 or email fayetteartmuseum@yahoo.com or visit the website.